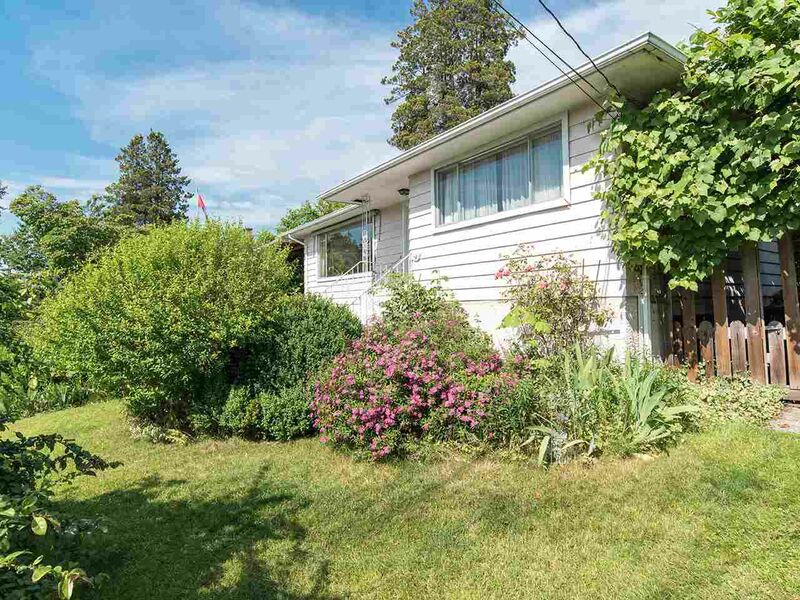 This lovely home is perched high on the hill to take advantage of the beautiful views of New West and NS mts and is a perfect place to get started. This spacious home has the original HW floors, a large bright kitchen and covered patio for extra space to sit and enjoy breakfast or just enjoy a glass of wine and the sunsets & With 3 large bdrms up there is room for all the kids. The full bsmt has only recently been modified to unauthorized accommodation for Seller & mobility & accessibility. This home has been lovingly cared for and is the perfect place to garden or entertain. Conv. located close to transit, skytrain and all commuter routes and City Center and the kids can walk to all levels of school so come check it out.